I made this dessert for a themed dinner party, where guests were asked to provide a dish that was cooked with beer. I can make a mean chili with beer, and I have made a version of this cake in the form of cup pies, with Irish Whiskey buttercream, but I felt the bundt drizzled with ganache was just a smudge more sophisticated. Adapted via Smitten Kitchen. Preheat the oven to 350F. Prepare bundt pan by coating liberally with baking spray or melted butter. In a large saucepan, bring the Guinness and butter to a simmer over medium heat. Add the cocoa powder slowly, whisking as you go. (This is supposed to result in a smooth mixture, but mine never really got as smooth as I would have liked. I decided to see what happened before starting over). Remove from heat to cool. Combine flour, sugar, baking soda and salt in a large bowl. Beat eggs and sour cream together in the bowl of a stand mixer, or with an electric mixer. Pour batter into well-greased bundt pan and bake for about 35 minutes, or until inserted toothpick comes out clean. Cool completely in pan on a wire rack, before flipping cake out over wire rack or serving plate. Slowly add flour mixture and blend on low speed. Fold together to make sure that all the ingredients are combined. Irish Cream Ganache: Melt chocolate chips, heavy cream, Irish Cream and coffee in the top of a double boiler, stirring until smooth. Remove from heat and allow to thicken for a few minutes. 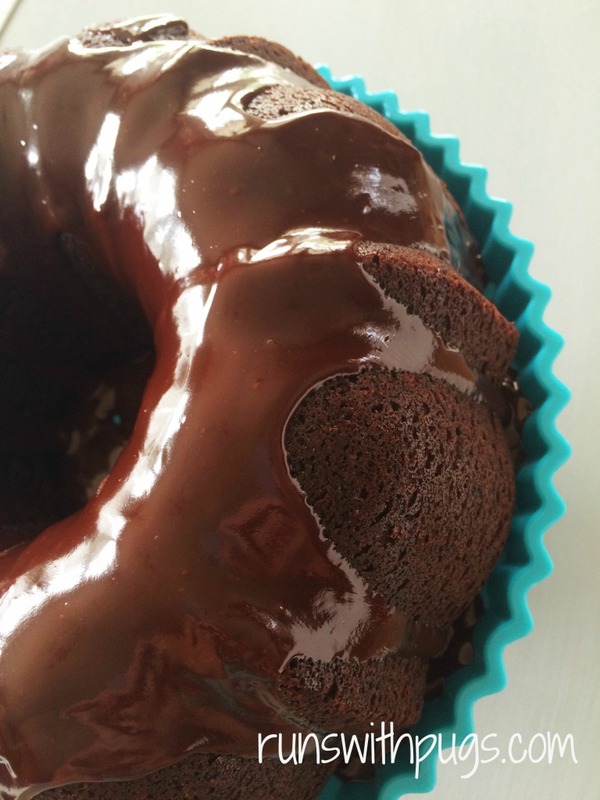 Drizzle over top of bundt cake. That is a really intriguing recipe! Guiness? Weird! Looks DELICIOUS though!